This post is from my favorite Japanese entertainment website. First of all, look at the picture below. 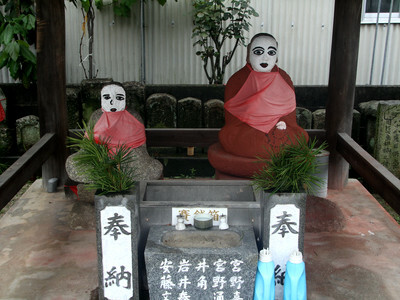 It is a Kobo-daishi statue in Matsuyama, Ehime Prefecture. 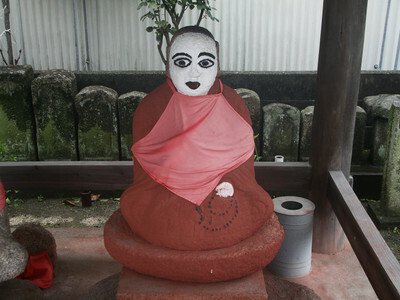 The face is painted white and body and lips are painted red. 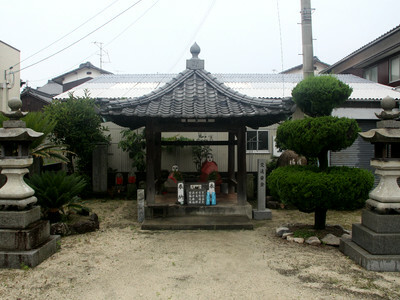 The nick name is Akadaishi (Red Daishi). Seeing it in the middle of the night can scare a man cry even he is not a child.